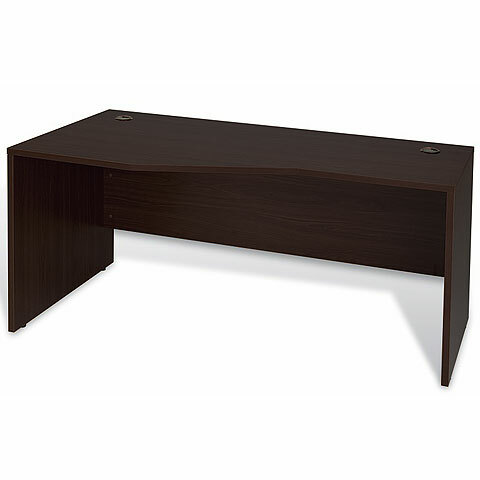 The Unity Crescent Desk boasts a unique shape designed to add a "corner" into any workstation, while sparing square footage. Available in two configurations, the Unity Crescent Desk enables you to add more modular pieces to your right or left sitting. 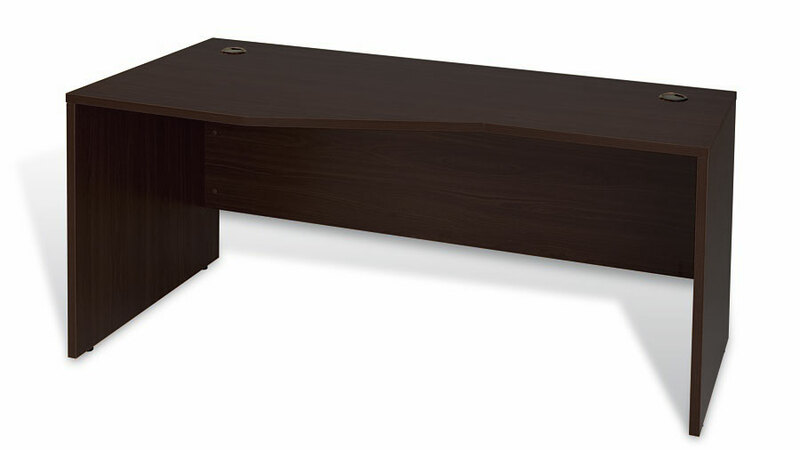 The 20" edge mates perfectly with the Unity 32" Return, 47" Return, File Cabinet, Lateral File, Cabinet & Credenza. Includes floor levelers and two wire management ports. Walnut finish shows the Unity Crescent paired with a Crescent Return, Mobile Pedestal and Hutches.